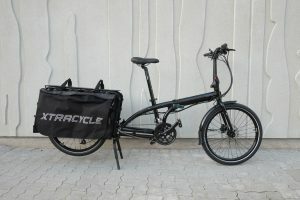 Medlemspris 14.500kr Normalpris 15.500 kr. 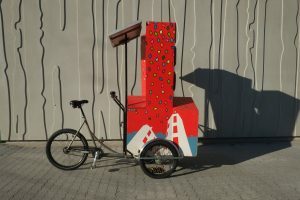 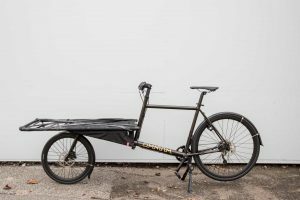 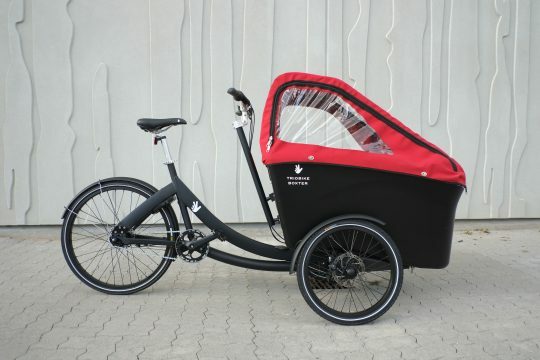 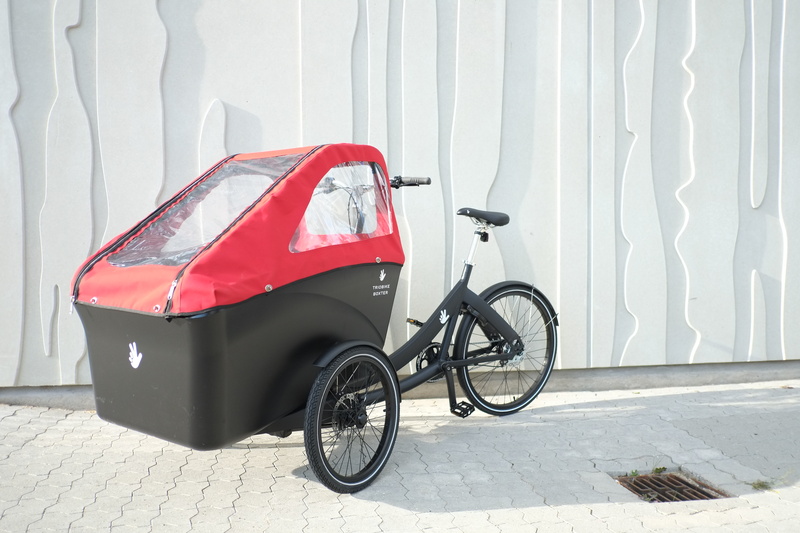 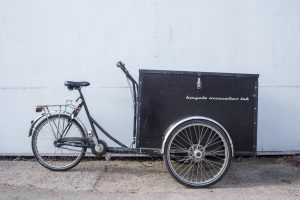 The Triobike Boxter design is based on the Christiania cargo bike but has a single plastic cast box, is lighter and faster. 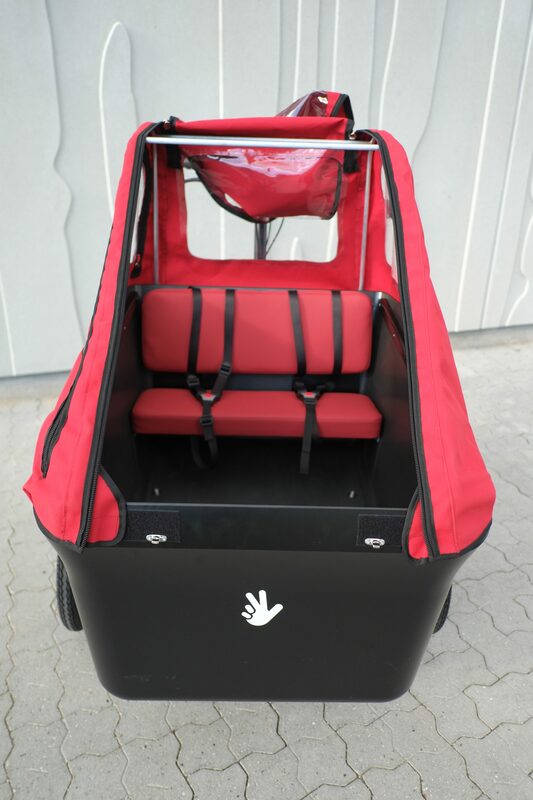 There is also a choice of colourful rain covers and seats for 2 or 4 children.